Home • Food allergy basics • Preventing and treating allergic reactions • Treating reactions • What is epinephrine? Epinephrine is the drug form of a hormone (adrenaline) that the body produces on its own. It helps to reverse symptoms of an allergic reaction, and it is life-saving medication. Epinephrine is the only drug that can reverse symptoms of anaphylaxis and is considered life-saving medication. Canadian allergists advise that an epinephrine auto-injector (such as EpiPen® ) is the first line of treatment for anaphylaxis and should be used before asthma inhalers, antihistamines, or any other medications. If you are uncomfortable or unsure about using an epinephrine auto-injector, discuss your concerns with your healthcare provider. Free training devices are also available to practice using an auto-injector. Visit epipen.ca for a free EpiPen training kit. You may feel nervous about using epinephrine but remember – it’s safe to use in normally healthy individuals. Epinephrine rarely causes harm, even if given when not needed. Possible side effects can include rapid heart rate, paleness, dizziness, weakness, tremors and headache. These side effects are generally mild and go away within a few minutes. Even if you or your child have received epinephrine, you still need to go to hospital for observation because further treatment may be needed. Many people worry they might mistake anaphylaxis for an asthma attack. If it’s not clear which someone is experiencing, epinephrine should be used first as it can treat the symptoms of both. In the past, epinephrine was used to treat asthma attacks before modern asthma medications were available. Discuss this with your doctor. Give other medications, such as asthma drugs and antihistamines, after giving epinephrine. Antihistamines can be used to treat hives or skin symptoms, but have not been proven to stop anaphylaxis. You can use antihistamines, after you have used your epinephrine auto-injector. • Do not store it in a car or a fridge. • In cold weather, keep it inside your child’s coat. In hot weather, keep it in the shade. You can also sign up for expiry notifications on pharmaceutical websites. 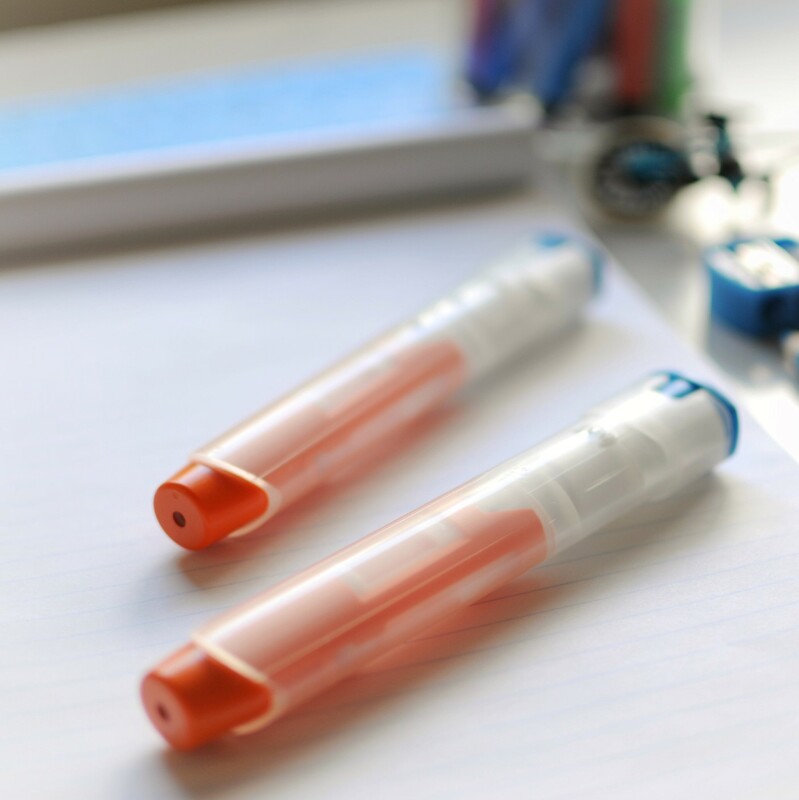 Practical tips for epinephrine auto-injectors. Make sure your auto-injector is not expired. You can check the date on the device, or sign up for a free e-mail reminder atepipen.ca. Epinephrine can lose its effectiveness when stored in extreme heat or cold. Never leave it in a car’s glove box or under a stroller where it can get too hot or too cold. Carry it in an inside coat pocket in winter. In summer, don’t leave it in the hot sun. 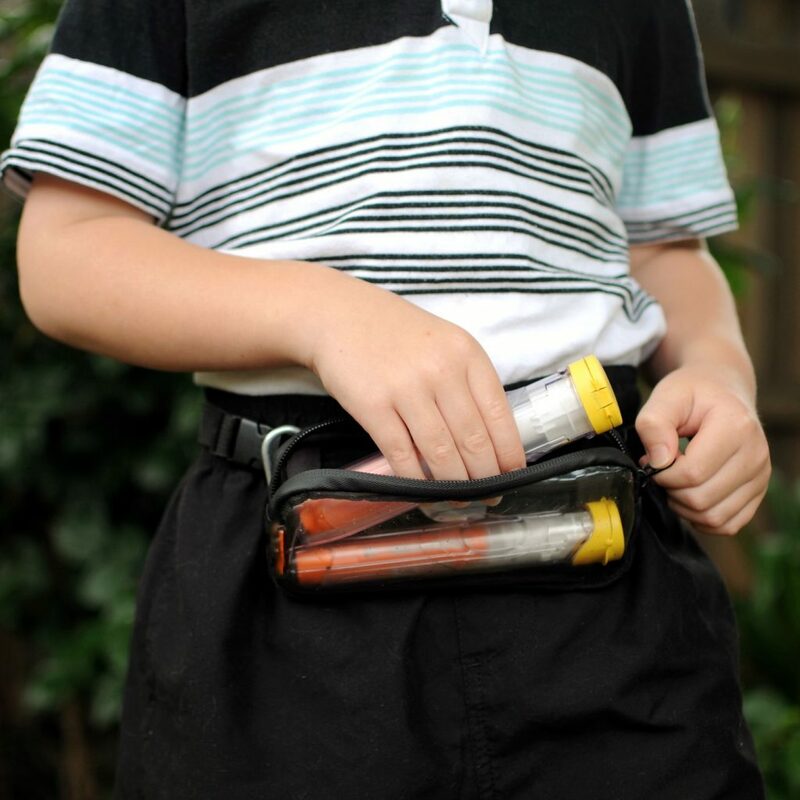 You can order a free training device, which contains no needle or drug, from epipen.ca. Teach friends, family, co-workers, babysitters, teachers — anyone who needs to know — how to use the auto-injector and where you keep it. No matter where you go, your auto-injector should be with you. Many families live by the motto “No auto-injector, no food”. There are even apps you can purchase that will help you remember to bring it when you leave home. The auto-injector is easy to use, it’s safe and it saves lives. If you have questions about your auto-injector, speak to your allergist or see our Resource section.